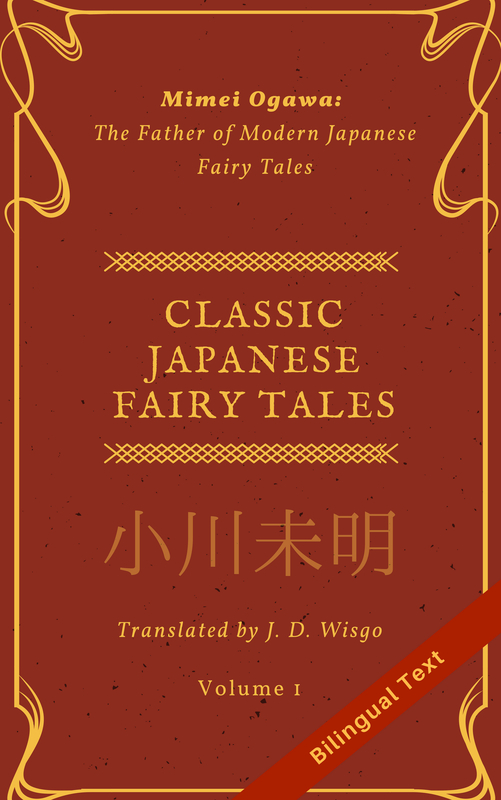 The folks over at Kurodahan Press have been running a yearly translation contest now for some time that typically involves translating a selected text from Japanese to English. The winner receives a monetary prize and I think also gets their story (eventually) published in some form. While I had heard about this contest a while back, this was the first year I elected to participate myself. As the contest is now officially over I thought I would write up some thoughts on the experience, partially for those who might be interested in participating themselves in the future. The piece for this year was パラソル (Parasol) by 井上 雅彦 (Masahiko Inoue), which you can see in full here. When I first read this short story, I’ll have to admit I didn’t fully get it. But after the first reading I read it again once or twice a day or two later, and soon enough I began not to just understand this piece better, but to perceive a certain depth to it. Initially, I wasn’t even sure I was going to enter, but after that I was so intrigued by the story I decided to take the plunge to start translating it. Fortunately, I started over a month before the deadline, so I had ample time. Soon after starting the first translation pass, I realized that parts of “Parasol” were quite difficult to translate. While there were a few individual words that were tricky to find good matches for, thinking back now I feel the very first paragraph was one of the hardest parts––a long sentence that used imagery via a series of vignettes to set the tone for the piece. Literally expressing the meaning wasn’t that hard, but maintaining a proper flow (which involved not breaking things into smaller sentences, unless absolutely necessary) was the real puzzle. After much rewording and rewriting I eventually reached a sentence structure with a flow that I was somewhat happy with. The last paragraph of the story was a bit similar stylistically, though I felt it was overall easier to translate and I was more satisfied with my result. There was also a handful of areas where I felt a subtle nuance was hiding behind the words in the original text, and rendering that in English (without making things too explicit) was a real challenge. It soon because clear to me that whomever at Kurodahan picked this story did a great job, not just in picking a great piece of short fiction, but in picking one with enough subtleties that really take a lot of thought and effort to translate properly. Do I think I have any chances of winning? Well, I heard there was a large number of entries from around the world––over 90!––plus the fact I realized after submission that one or two parts in my entry that could have been improved (while I did a large number of editing iterations, before submission I should have done one last check against the source text). So I’ll hope for the best, but prepare for the worst; although not winning is really not that bad, especially since there was no monetary cost to enter. Clearly, there is no one ‘right’ way to translate something, and the judge(s) will likely disagree with some of my choices; I’d be surprised if there was any entry they considered “perfect”. But if they judge more holistically, not throwing away an entry due to one or two bad choices, I still think I have a chance. But regardless of who is announced as the winner, I’m without a doubt glad to have participated. I feel the process of doing a translation where I knew every word would be scrutinized has really taught me a lot about translation. Generally I edge towards being a perfectionist when it comes to translation, and this sort of contest gives me another reason for attention to detail. It was a very rewarding experience and I definitely would like to participate again next year. It looks like some other year(s) they have released the submissions (anonymously), and I hope they do that again this year since it will be very interesting to see everyone’s translations. Even if they don’t, eventually I’ll get to read the winner’s translation and see where I could have improved things. Through this contest, I also learned more about the rules and regulations for a translation contest. This is important to me since I actually ran my first translation context on this blog this year (admittedly much smaller scale than Kurodahan’s), and hope to run another one in the next year or two.